The premium quality PUF Insulated Boxes, cooler boxes offered by us, is strictly sourced from the trusted vendors in the industry. Our cooler boxes are fabricated under the supervision of practiced experts, who use the advanced technology and superior-grade material for enhancing the durability and performance. Made from approved grades of polyethylene materials in double wall construction by a unique molding process Superior grade fittings and hardware, 100% hygienic, Leak proof, rust proof and corrosion free, Strong and durable, Keep the things stored in hot/cold condition for longer period, Available in elegant colors, Built in space to print message logo and brand name. 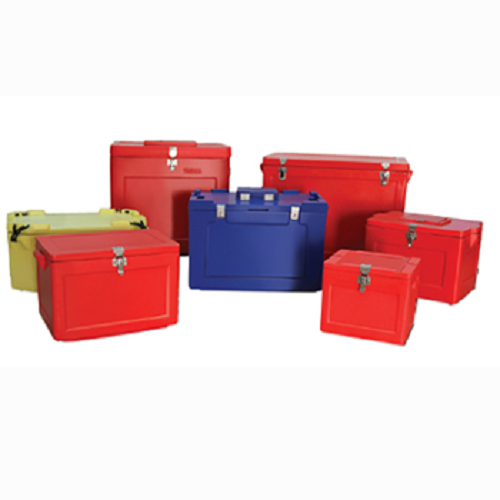 PUF Insulated Box is popularly known as Thermal Temperature Controlled Box, Carry Cool Boxes, Cool Ice-cream Box, Refrigerant Packaging Box, Pre Qualified Cold Chain Shipper etc..We provide this ice box in various sizes and specifications as per the clients’ needs and requirements at the most competitive prices.